Vietnam’s richest ever sporting event, The Ho Tram Open, is an Asian Tour sanctioned golf event that was held December 3rd – 6th 2015 at The Bluffs Ho Tram Strip. Dubbed Asia’s Grandest Stage, the four day event featured a star-studded lineup with a variety of golfs biggest names, including Ryder Cup Captain & Open Champion Darren Clarke, US Open Champion Geoff Ogilvy, Ryder Cup legend Thomas Bjorn, plus The Bluffs ambassador and two-time European Tour winner Robert Rock, as well as the Asian Tour’s leading players. The four-day long event culminated in the induction of Sergio Garcia as the first ever Ho Tram Open champion. The 2015 Ho Tram Open was the first of three to be held at The Bluffs, managed by Troon Golf, the event has set a new standard by integrating golf and entertainment, framing the Championship with a variety of events and entertainers for sponsors, dignitaries and guests alike. 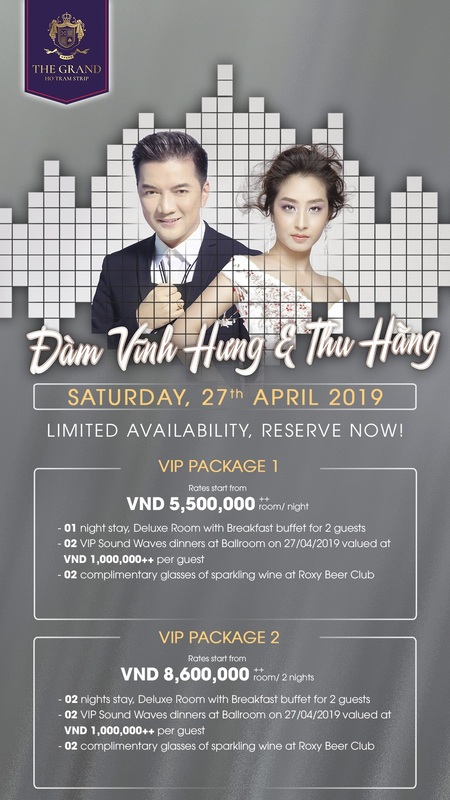 2015’s lineup included appearances by Brian McFadden of Westlife, the first ever “Ho Tram Fight Night”, plus a full week of live entertainment across the resort. The event has showcased the Ho Tram Strip as a leader in the entertainment space within Vietnam and South East Asia. Check back for more information on the Ho Tram Open 2016. Check back soon for more information on the Ho Tram Open event being held in 2016. Don’t forget to check out the official Ho Tram Open Website: www.hotramopen.com. Check back shortly to learn more about Ho Tram Open partners and sponsors.